Super Full Moon in Aquarius: Yesterday evening I found myself reading an article on Super Moons – they really are hard to avoid. The term was coined in 1979 by American astrologer, Richard Nolle, who writes “SuperMoon describes a new or full moon which occurs with the Moon at or near (within 90% of) its closest approach to Earth in a given orbit. In short, Earth, Moon and Sun are all in a line, with Moon in its nearest approach to Earth… SuperMoons are noteworthy for their close association with extreme tidal forces working in what astrologers of old used to call the sublunary world: the atmosphere, crust and oceans of our home planet – including ourselves, of course..” SuperMoons actually occur regularly which might in part explain the buzz that surrounds them. 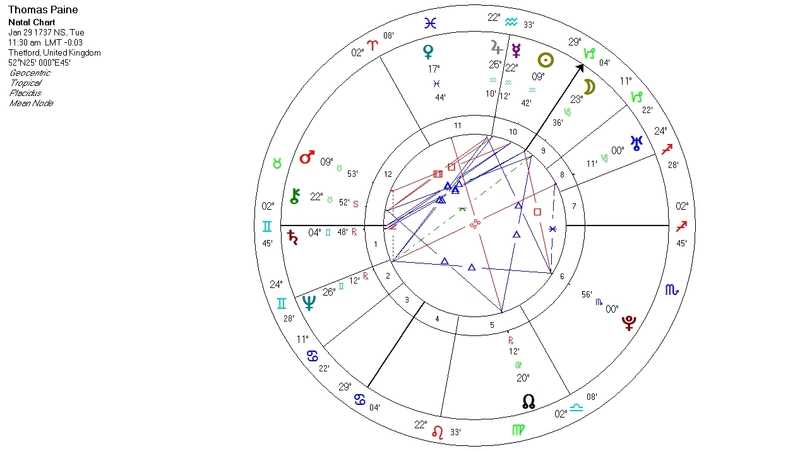 The Super Full Moon in Aquarius: I have a hard time understanding Aquarians, so the excellent documentary that the BBC sent out last night on the life of Thomas Paine, could not have been better timed. Paine was born on Jan. 29 1737, at 11.30 am in Thetford, England – and has Sun, and Mercury conjunct Jupiter in Aquarius. Paine – originally a maker of ladies corsets (almost visually depicted by the glyph for Pisces which is where Venus is placed in Thomas Paine’s horoscope!) – was destined to become the animating spirit of the American and French Revolution. The Super Full Moon in Aquarius: Thomas Paine was drawn like a magnet towards Revolution. In the 1790’s – he lived in France and at first supported Robespierre. However Paine was a humanist. As a child he had witnessed public hangings and was totally opposed to the death penalty (to the slave trade and favoured voting rights for all men). Paine argued against the execution of Louis and Marie Antionette – whereby becoming an enemy of the revolution, for which he was imprisoned and sentenced to death. Not for the first time, fate intervened on Paine’s behalf. Though his execution date was set for the following morn, the guards opened Paine’s cell door to let in some air – and the cross mark placed on the door of those to die next day, was mistakenly painted on the inside. When the door was shut – the ‘x’ was no longer visible and Paine miraculously escaped death. The Super Full Moon in Aquarius: Unable to return to England, where, during his absence a death sentence had been handed out to him for sedition, it was to America that Paine returned upon his release from prison. However times had changed. In his pamphlet ‘The Age of Reason” (1794) Paine had expressed strong opinions against organized religion. 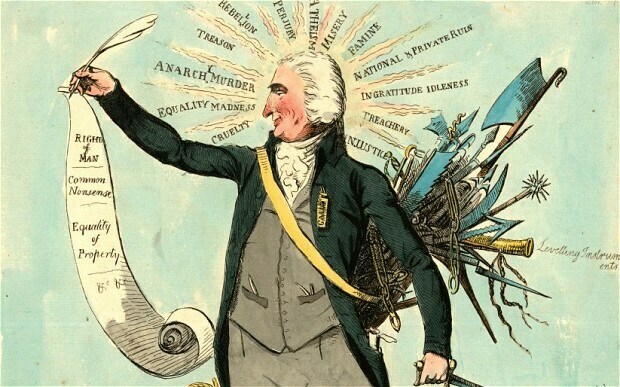 Though Paine was not an atheist – he was in fact a spiritual man – he was viewed as one. In America his old friends and the Establishment abandoned him. Paine died in America in 1809 – almost forgotten – only six people turned up at his funeral ! The Super Full Moon in Aquarius: Paine’s Aquarian character shines through most brightly when he is supporting and giving voice to humanitarian causes. His deep and sincere commitment to a sense of ‘common humanity’, his disregard for personal advancement and ambition, subsumed as it was in his unwavering belief in doing ‘the right thing’. Paine’s inability to compromise, the way in which he ‘stuck to his guns’ made him many enemies. He was a man of principle who could not be moved. When asked about his religious beliefs Paine replied “There is one God…. my religion is to do good.” Paine labored for a democratic society, argued for ‘a welfare state’, spoke out for full human rights for all members of society and the right to freedom of conscience. While Thomas Paine had difficulty in maintaining ‘one on one’ and intimate relationships which undoubtedly was a source of great personal pain and suffering, there is no denying he had a unique gift when it came to voicing the concerns of the collective. The Super Full Moon in Aquarius: So reflecting back on the Aquarian Full Moon today… I think this is a good day to spend some time thinking about core life principles – while at the same time placing them in a wider social context. This might involve a commitment to recycling your plastic, to eating less meat, or to visiting a lonely neighbor. Aquarius reaches beyond the personal concerns we normally attach to the Moon- towards a collective sphere where our own actions impact on others, or the planet. 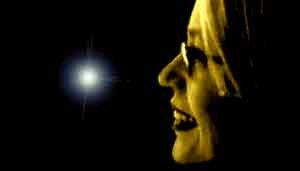 Leo is a big sign – which celebrates the individual and his/her achievement and joyful presence in life – Aquarius on the other hand is able to rise above the uniquely personal and look for meaning towards a larger whole. Dit bericht is geplaatst in Astrology English en getagdastrology, elizabeth hathway, English, horoscope of Thomas Paine, SuperMoon. Bookmark de permalink.